Kavieng Hospital CEO Dr Alex Wangnapi says their budget was cut by the government on the basis that the hospital has been developing internal revenue to run its operations." The stoppage of the Health Functional Grant (HFG) by the Government to certain hospitals in the country is affecting its operations. Kavieng General Hospital CEO Dr Alex Wangnapi stressed this after their budget was cut by the government on the basis that the hospital has been developing internal revenue to run its operations. Dr Alex said the internal revenue developed is not enough and it’s affecting the hospital. 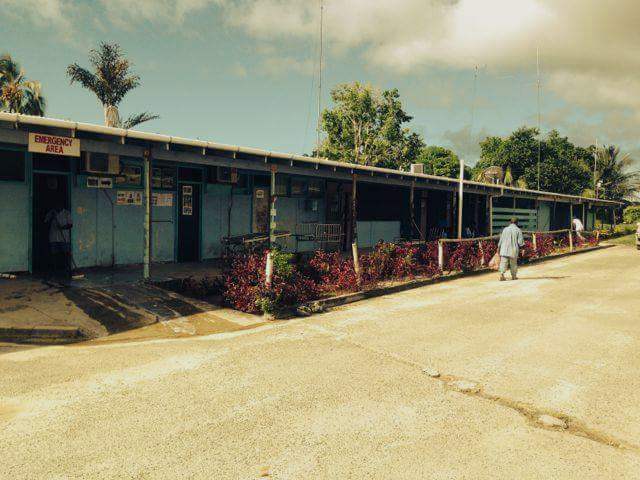 “There are no service oriented plans by the New Ireland Provincial Government put in place to improve the health infrastructures of the Kavieng General hospital as well” he said. Dr Alex stressed that with the stoppage of the health functional grants,it is difficult to accommodate incoming staff and the upgrading of facilities apart from the budget. He said the proposed budget for the hospital in 2019 is K27 million however half of it will go to staff personal emoluments, leaving the hospital struggling to cater for its standered functions. “Even Kavieng General Hospital is a grade 5 hospital without grade 5 standards for its facilities and operations wise” he said. “This is whats been affected the most, the current standard of the hospital does not match its standered due to no upgrading of its facilities and even staff housing upgrades”, he stressed. Dr Alex pointed out that the hospital doesn’t have pediatric centre and even appropriate doctors for the centre, blaming the lack of upgrade to its facilities been the main reason. He added that the hospital urgently needs accommodation for its staff to remain and maintain the hospital services to the people. He said a complaint has been put forward to the National Department of Health,Department of Personal Management and the Treasury department to look into this.